This book will help readers understand the practice of qualitative research–whether they want to do it, teach it, or just learn about it. All the major research phases are encompassed (startup, design, data collection, analysis, and composing), including newly emerging trends. Numerous easy-to-read vignettes show how other scholars have successfully implemented specific procedures. 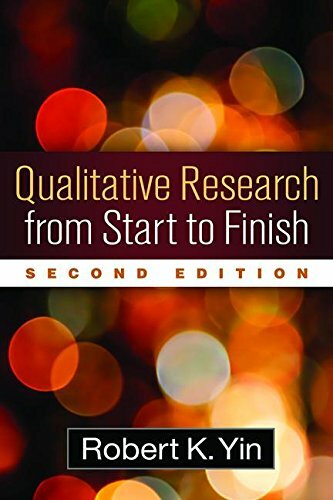 Equally distinctive, the book presents qualitative research as an adaptive craft. The array of choices among different procedures and methods enables readers to customize their own studies and to accommodate different worldviews and genres. *Stronger discussion of different worldviews (e.g., constructivism, postpositivism, and pragmatism) and how they relate to different methodological choices. *Clearer emphasis on doing a generalized qualitative study, while acknowledging 12 specialized genres (e.g., action-based research, arts-based research, autoethnography, grounded theory, phenomenology, and others). *Expanded discussions of different kinds of qualitative study samples and of mixed methods. *New ideas on how to avoid getting stalled when analyzing qualitative data. *Consideration of an additional way of concluding a qualitative study: by taking action. *Chapters start with an abstract and end with a suggested exercise. *Key terms and concepts appear in boldface throughout the text and are listed in end-of-chapter recaps as well as in the book’s glossary. *An appendix presents a semester- or yearlong field-based project.